A cashless society might be a reality at some point in the future, and a recent report from Mercator Advisory Group shows that many Americans will be prepared if that day ever arrives. 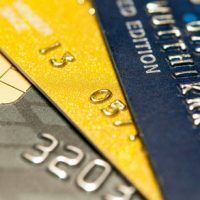 Mercator’s Insight Summary Report highlights an interesting fact: credit cards are now the most popular payment method in stores, replacing cash, personal checks, and debit cards. If you like to charge purchases, you are not alone. Still, you need to use your credit card properly so as to avoid unsustainable debt. What accounts for the popularity of credit cards over cash and debit cards? The report doesn’t say, but common reasons could be the increase of cash back and other awards programs offered by credit card companies. Another reason includes the greater protection that credit cards offer. If a consumer has a dispute, they can ask their card company to stop the purchase, so using a credit card provides peace of mind. An interesting detail involved the youngest consumers, those aged 18-24. They showed a preference for cash, largely because it is so much harder for them to get a credit card. It remains to be seen whether these consumers will develop a habit of using cash, or whether they will switch to plastic as they establish themselves financially. Pay off your balance in full each month. If you don’t, you’ll go past your grace period and end up paying money in interest. Never charge more than you can pay off each month. You should always have some idea of what your balance is. If you don’t, then download an app so you can check it before paying with a credit card. Don’t make large purchases just to chase points. You will not come out ahead. Always make at least the minimum payment. If you don’t, your credit score will take a hit. It’s better to pay interest than to tank your score for failing to make regular payments. If credit card debt gets the best of you, you should canvass all your options, including how you can manage debt in a bankruptcy. It might be possible to become debt free in as little as a couple of months. At Nowack & Olson, our Plantation bankruptcy attorneys have helped hundreds of consumers dig out from under debt. You can meet with us to talk about your case by calling 888-813-4737 to schedule a free consultation.